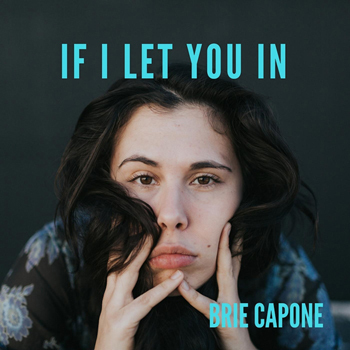 Singer-songwriter Brie Capone first moved to Asheville when she was a teenager, but her musical journey would eventually take her far afield. Capone studied at Berklee College of Music in Boston, and then moved to New York City to get her career moving. Her group the Humble Grapes recorded a self-titled album, but that project didn’t last. “My band broke up,” Capone explains. “Amicably.” By that point she realized that solo work was her real goal. An Andrew Anderson-directed video for “Scars,” one of the standout tunes on Orbit, won the Judges’ Choice prize at the 2017 Music Video Asheville awards. The elegiac tune exemplifies the rich and expressive character of Capone’s music. The next month, she won the NewSong Singer-Songwriter Competition at LEAF. Capone’s ambitions might someday lead her to move beyond the EP format into full-length albums. Musing on that possibility, Capone suggests a possible concept: “Robots from the year 2045 who learn to love. I’d want a full orchestra for that.